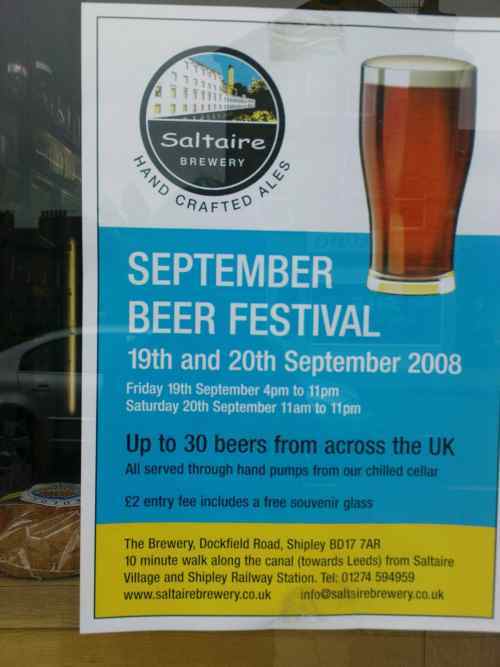 The Saltaire Festival’s beer festival has moved ten minutes walk up the canal to Saltaire Brewery. Last year’s beer festival was in Victoria Hall, or at least I’m told it was. be told that they’d run out of beer completely during the afternoon. Either the world’s best or worst beer festival.